The use of pesticides here in the UK is on the increase. The long-term health implications of exposure to these pesticides are currently being studied, but it’s believed that they may be harmful. Pesticides affect people in different ways. It’s believed that children are more sensitive to pesticides because they are smaller, which increases their exposure when eating or breathing in pesticides. 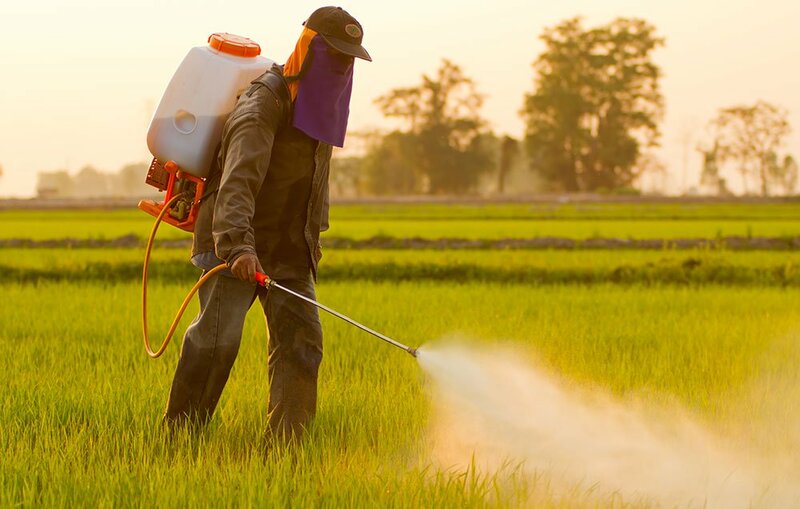 People with asthma and other chronic diseases are also more likely to be affected by pesticides. No matter what you’re sensitivity to pesticides is, you’ll be in the greatest danger if you are exposed to pesticides on a regular basis. Those who use pesticides in their home may become overexposed, and fall ill. This is especially true for those who use DIY pest control products without following the instructions carefully. This is why you should always call in a professional pest control company, like Empire Pest Control, if you have a pest infestation. Here are 6 ways you can limit your exposure to potentially harmful pesticides. Buy organic and locally grown produce – Most local and organic farmers don’t use any type of pesticides. Fruit and veg from farmers markets also has been proven to contain less pesticides than normal supermarket produce. Wash your produce before you eat it – Make sure to wash all fruit and veg you have before eating it. You can even wash it in a small amount of dish detergent, and use a soft brush to scrub away any dirt. Know which fruits and vegetables might have pesticide residue – Pesticide residue is usually concentrated in a small number of fruits and vegetables. By knowing which fruits and vegetables pose the highest risk of pesticide contamination, you can make sure you wash them more thoroughly. Grow your own – The best way to avoid pesticides on your fruit and veg is to grow it yourself. You can grow a whole variety of produce in your own back garden. Opt for green pest control – Using chemicals to control pest problems around your home can pose a threat to your health. Many professional pest control companies use green, non-toxic methods that won’t affect your family’s health. Have a no shoes policy – When visitors enter your home, ask them to remove their shoes. They can track in residue from the chemicals that could have been used outside on lawns and weeds into your home.